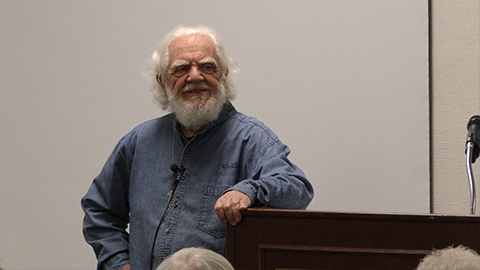 The Lourdes University Lifelong Learning program presented The American Irish – America’s First Unwanted Immigrants with Dr. Seamus Metress, Professor of Anthropology at The University of Toledo. Unlike other immigrant groups, the Irish came to America in several historically distinct stages. Their emigration began early in the 1700s, prior to 3 the American Revolution, when they left an island dominated by British colonialism only to arrive in a British colony where they endured the same anti-Irish prejudice they had fled. Although each wave of emigration was driven by different conditions – one of which included the Great Starvation – those Irish arriving on America's shores encountered opposition that required adjustment. Dr. Metress spoke on the varied journeys and their attempts to make it in America. He teaches the “Irish-American Experience” as well as “Conflict in Northern Ireland” at the University of Toledo, writes on Irish issues, and has done fieldwork in Ireland's six northern counties. He is presently completing a book titled The American Irish and Their Journey: America's First Unwanted Immigrants, coauthored with his wife Eileen Metress, a Professor Emeritus at the University of Toledo.